With salads, I often find myself craving something a little heartier, while not going full-on into the “grain bowl” category. 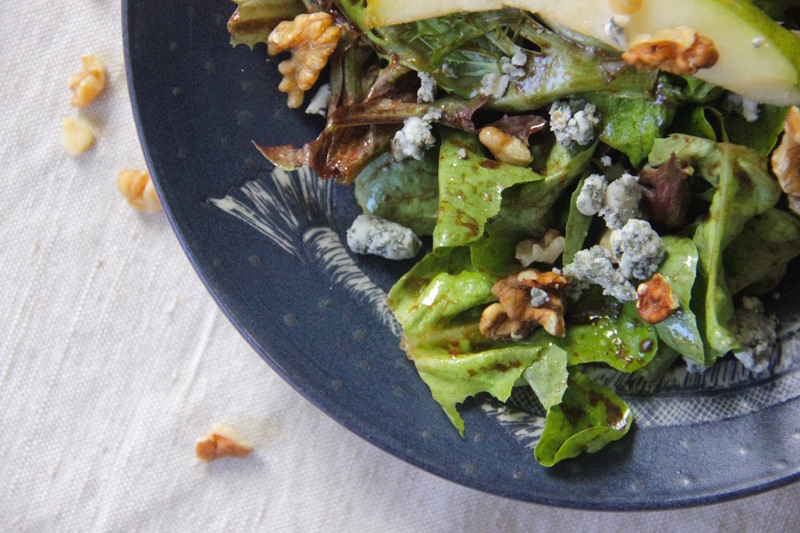 Enter blue cheese and walnuts. Being a great source of Omega-3 fatty acids, walnuts are a something I always keep around as a quick, filling snack. 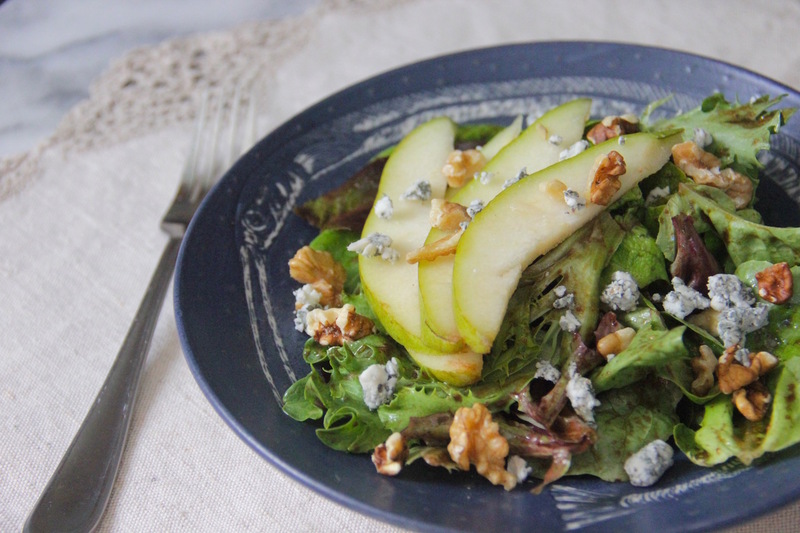 While blue cheese adds another fat-heavy hitter to this dish, it’s also a great source of phosphorus and I absolutely love the creamy, savory element it adds to this salad, especially in contrast to the sweet pear slices. 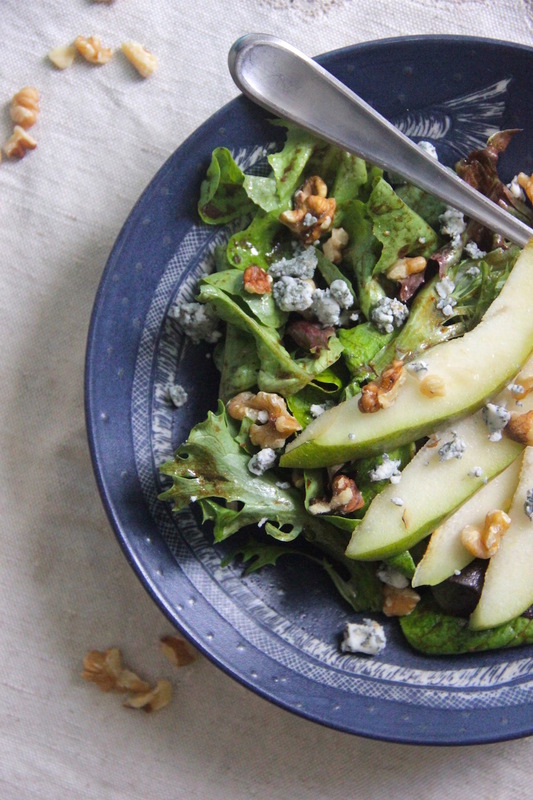 With all the fats in this salad plus the fiber from the greens and pears, it should help keep you full during the day! Now I may be writing about the different benefits of salads and specific nutritional information but you should really just make this because it’s delicious. Eating dry, boring salads is painful and it can really turn you away from eating them (at least it did for me) so instead, embrace delicious, flavorful salads full of texture! Whisk together all the dressing ingredients until they are well combined and emulsified. In a large bowl add your salad greens and pour the dressing on top. Using your clean, freshly washed hands, toss together the leaves and the dressing so that it’s evenly distributed amongst all the greens and lightly coats each leaf. 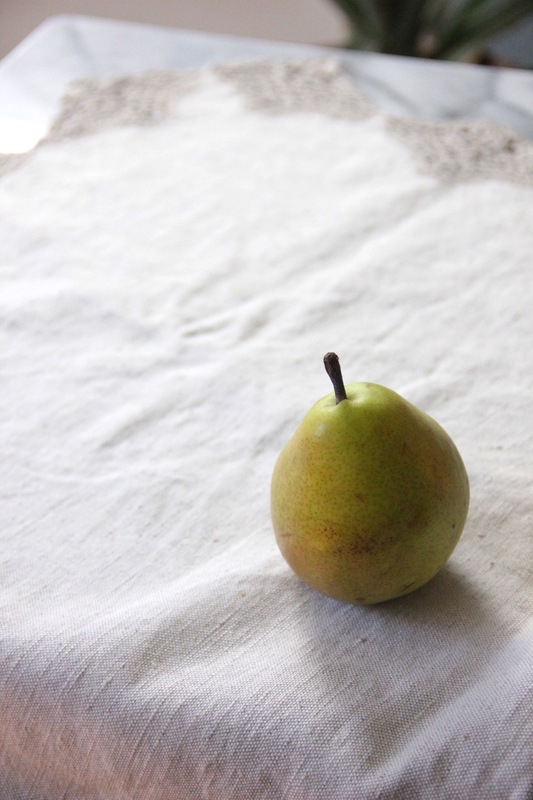 Slice the pear into quarters and cut out the stem and seeds. Cut each quarter into thin, ¼ inch slices and set aside. 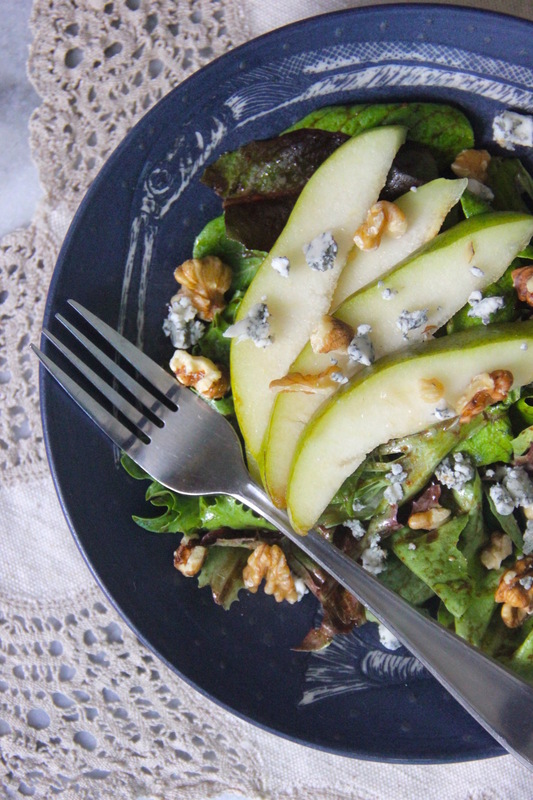 Assemble your salad greens for serving and top with the pear slices. 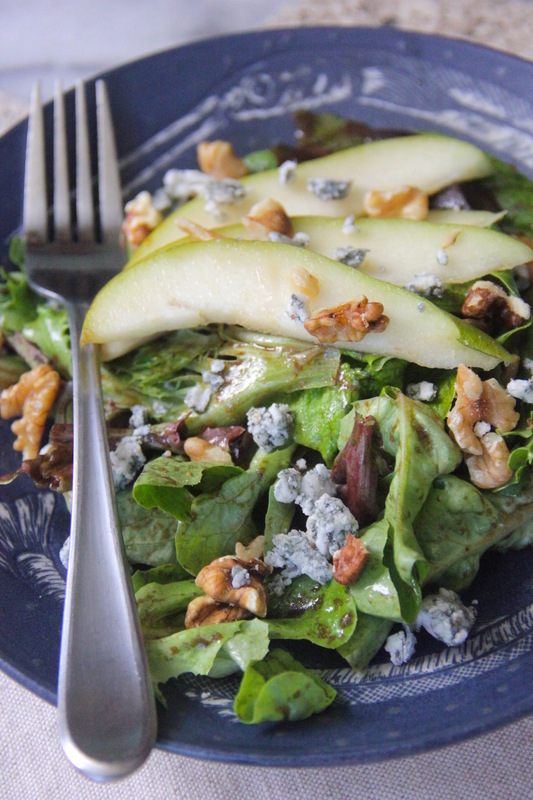 Sprinkle walnuts and blue cheese on top.